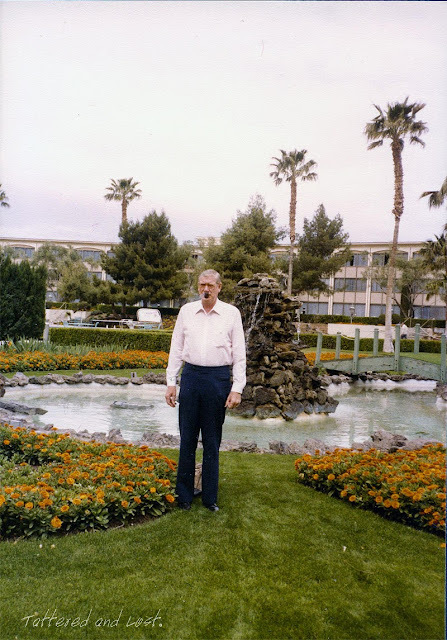 Charlie was in Vegas in March, 1984. He is proudly standing, according to what's written on the back, at the Frontier Motel. 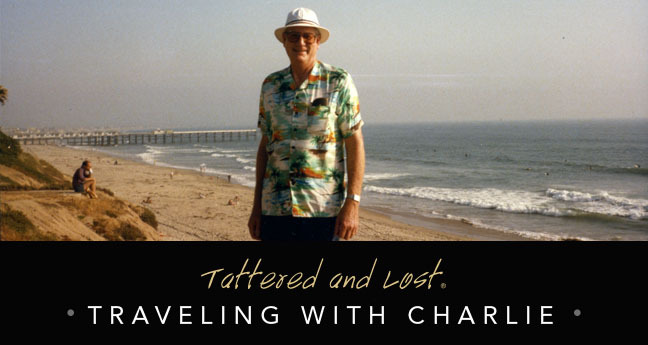 Was Charlie a gambler? Doesn't seem the type. Of course we'll never know because as usual Charlie is once again simply standing his ground. Have we seen Charlie smoking a pipe before? Who does that anymore? In any case where Charlie's standing is nothing but a hole in the ground now. Not knowing anything about Las Vegas (since I have no desire to visit) I looked up the Frontier Hotel on Google Maps. Seems it was sold in 2007 for $1.3 Billion and demolished and in its place will be a 3500+ room hotel. A deep endless pit of frustration and loss. Vegas. It does seem fitting. I cringe to think of a hotel that houses 3500 rooms as much as a cringe to think of being stuck on one of the ugly behemoth cruise ships. Too many people in one place. Eventually something bad will happen simply because there are too many people in one place. And yes, I believe we have a photo of Charlie with his pipe in the past. Just did a count and it looks like there have been 5 other pipe shots. The demise of the pipe. That. of course, is why we never see Charlie with anyone else - he was a pipe smoker.